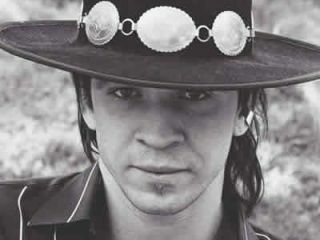 SRV heads to Rock Band/Guitar Hero the movie? Someone must have forgotten to tell the Rock Band/Guitar Hero massive that the album format is dead, because downloads via the gaming marketplace are on the up. So much so that - hot on the heals of Pixies, Guns N' Roses and Metallica - six new artists are jumping on the (Rock)bandwagon. Rock Band 2 debuts on 14 September with the promise of a 500-strong downloadable tracklist before the year's end. And it's not just b-side filler, either. Foo Fighters, Chili Peppers, Jane's Addiction, Megadeth and Stevie Ray Vaughan are offering classic and arguably seminal albums. It's no surprise to see more big name gear brands - Marshall, Vox and Zildjian - wanting a piece of the Guitar Hero pie, and it's only a matter of time before someone tries to make 'the movie'. We're sure the game's maker Activision knows nothing about it yet, but film director Brett Ratner (X-Men, Rush Hour) has expressed an interest in making it. "I love Guitar Hero and I think it's a part of pop culture. I would love to do a Guitar Hero movie, if Activision would ever let me", Ratner told MTV. "It could be about a kid from a small town who dreams of being a rock star and he wins the Guitar Hero competition".